For me, the upward flashes of light in recent sunset photos, create an Aztec sun image. The sun itself, plus the rays it paints on the clouds, create the image. (Hopefully you see this too). 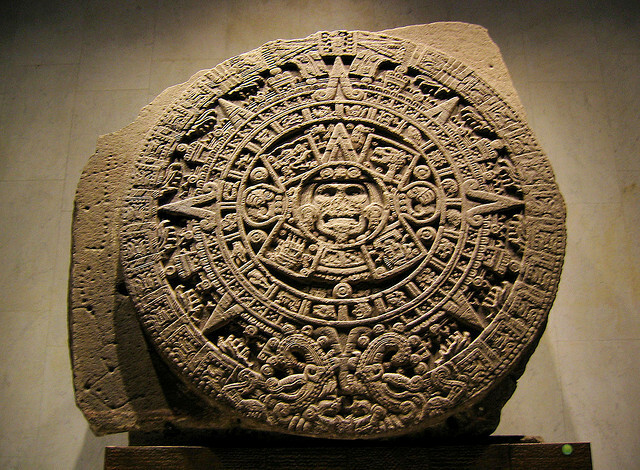 At the end of this post I will show a picture of an Aztec Sun Stone. It is not quite the image in my mind, but the roots are there. I wrote the haiku for Ronovan’s Haiku Challenge. You might be wondering: “What happened to the prompt words, ‘haiku’ and ‘mind’?” Following Ronovan’s invitation to make use of Thesaurus.com, I looked up synonyms for the two prompts and chose to use ‘poem’ and ‘soul’. (The pun wasn’t intended, but I like it.) 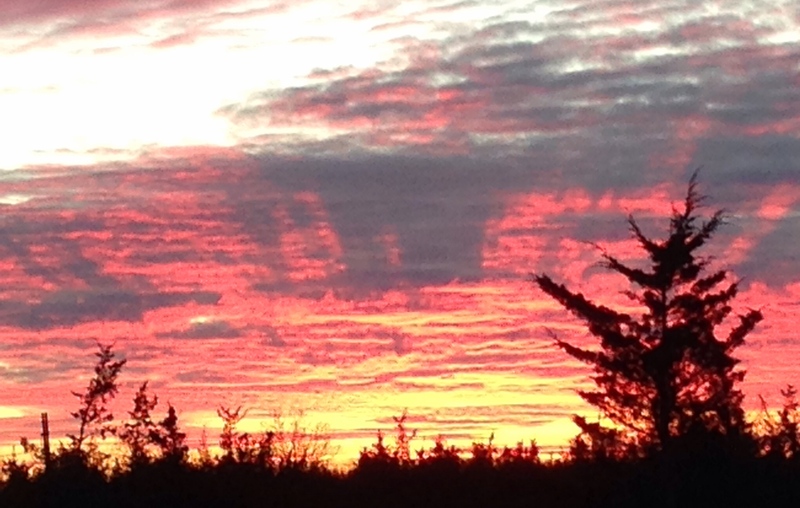 Here is another photo of the sunset taken the same evening, followed by a picture of the Aztec calendar stone. Aztec Sun Stone by Xuan Che and shared under CCO license at https://www.flickr.com/photos/69275268@N00/4419055059/. Those were cool sunset shots. Thank you Janice, not as well as I would have hoped – too busy with other things at the moment. Finding it difficult to find time this month. Thank goodness I’m not doing Nanowrimo! I thought you were doing Nanowrimo–I got it that you’re busy but jumped to the wrong conclusion at some point..good luck with it all !